REYKJAVIK - Is it a blue whale or not? The slaughter in Iceland of what is claimed was a member of the endangered species has triggered outrage and left experts puzzled about its true identity. They are also not sure if it could be the endangered fin whale, the second-largest animal on the planet, which can only be legally hunted in Iceland despite an international moratorium on whaling. Kristjan Loftsson, CEO of Hvalur hf, the whaling station that slaughtered the animal, said they did so believing it was a fin whale. 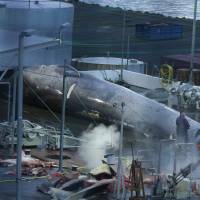 Most of the fin whales killed are exported as meat to Japan. “We see blue whales all the time and identify them by their blowholes … but we leave them alone,” he said. For Gisli Vikingsson, a scientist at the Marine and Freshwater Research Institute in Reyjkavik, the butchered whale’s characteristics are similar to both the blue and fin whale. He added the whale could even be a hybrid species resulting from cross-breeding between the fin and blue whale, which is a rare phenomenon. Since 1987, five such animals have been observed in Icelandic waters, and they are known to be infertile. 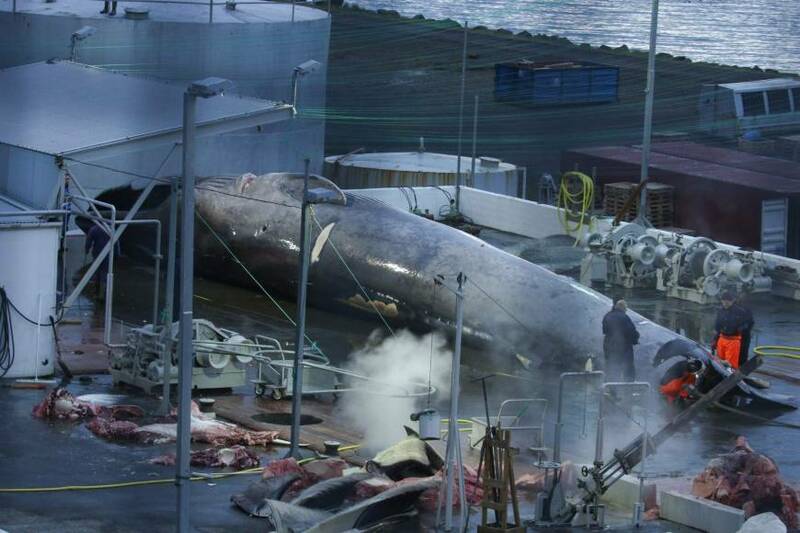 All killed whales in Iceland undergo DNA tests after the hunting season and the results are released during the fall. However, due to the controversy surrounding this particular case, a test will be done earlier than planned and the results are expected at the end of July. “This shows how inaccurate and imperfect this hunting is and there is no need to continue it,” said Sigursteinn Masson, Iceland representative for the International Fund for Animal Welfare. Should the killed whale be confirmed as a hybrid, then things could become even more complicated because there are no laws to protect them. “Hybrids are much more rarer than the blue whales,” Masson said.